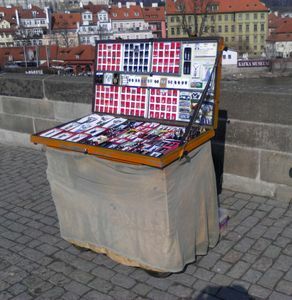 We don't have our own a stone shop, we sell our products on the Charle's Bridge in Prague. When the weather is nice, we sell there every day. It is very easy to find. 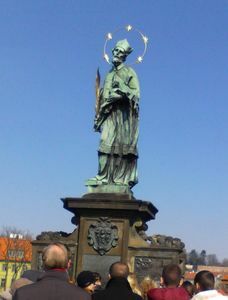 Our stand stays in the middle of the Charle's Bridge near by the most favourite statue, the statue of St.Jan Nepomucky (see the photo).